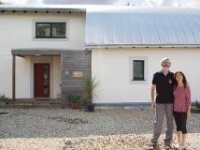 The home of a local passive house builder, this super low energy home in County Mayo is inspired by traditional building forms in the west of Ireland — and it blitzed Ireland’s nearly zero energy building standard a whole five years before it was set to become mandatory. Architect Tom Duffy has long had an interest in green design, and working on a self-build project for himself and his wife he was able to prove a point: making a modest family home to the highest standards need not cost the earth. 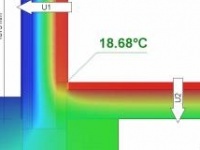 In the sixth report on her journey to self-build a passive house, Nessa Duggan struggles to reconcile glazing functionality and thermal performance, takes conflicting advice on heating and ventilation, and reaches some decisions on joinery. 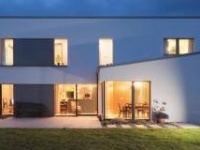 This is what you get when one of Ireland’s most experienced low energy builders creates a home for his own family, with help from one of the country’s foremost ecological architects — a modern and elegant passive house that pays detailed attention to sustainability at every turn. In the fifth instalment of her column on designing and building a passive house for her family, Nessa Duggan talks about the importance of getting good advice — on everything from airtight sliding doors down to your choice of timber flooring. Despite having no construction experience, self-builder Eamonn Fleming decided he could build a new family home more cheaply — and with better attention to detail — if he did it himself. 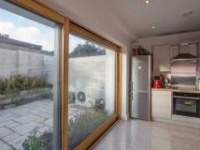 And even though he didn’t set out to build a passive house, he managed to meet the standard while doing almost all of the work in conjunction with his father, while exceeding the targets of Ireland’s nearly zero energy building definition. In the fourth instalment of Nessa Duggan’s column on designing and building a passive house for her young family, the focus shifts to overcoming drainage issues to secure planning, and just how small the heat load may be in the family’s new home. The need for experienced contractors who can be depended upon to deliver the high quality product that a passive or indeed low energy house demands cannot be undervalued, leading timber frame manufacturer Kudos has claimed.